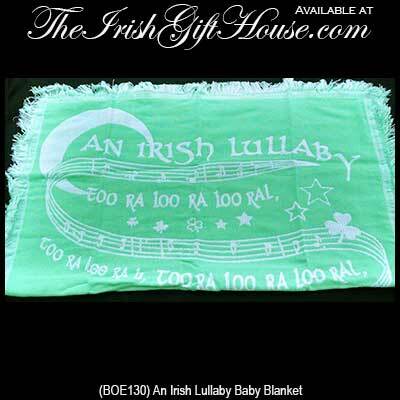 This soft green acrylic Irish baby blanket features the words to a verse of An Irish Lullaby. 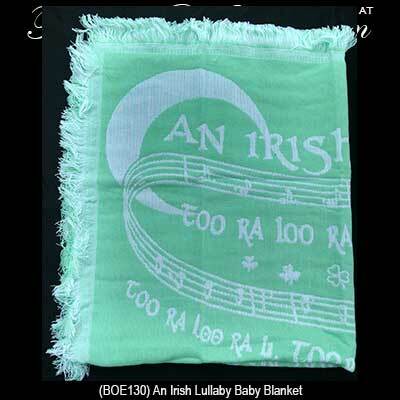 The Irish Lullaby blanket is enhanced with shamrocks and measures 36” x 40”. 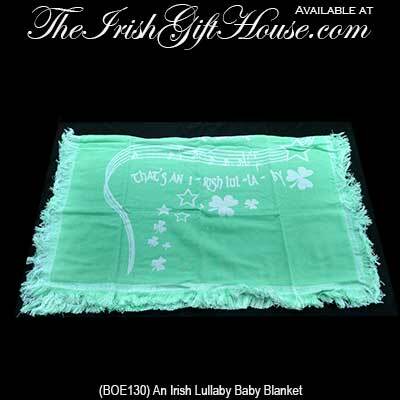 This Irish blanket is received with a shamrock history card, complements of The Irish Gift House.